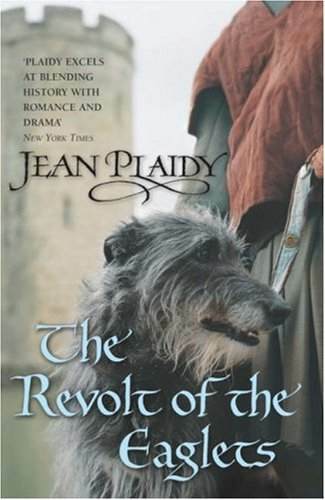 This novel begins exactly where The Plantagenet Prelude left off. The aftermath of Thomas a Becket’s murder was still plaguing Henry II, while Eleanor was planning to urge her sons into revolt. Kings die, sons die, Eleanor is imprisoned for many years, but still she lives and is the ripe old age of 67 when she is finally released from her prison. This book expands upon Richard’s dukedom of Aquitaine, while his brothers Henry and Geoffrey scheme and intrigue endlessly and to their detriment. They just cannot take empty titles from their father. In a way, I felt sorry for Henry. He did love his sons and wanted very much for them to work for him and be on good terms, with himself and one another. He saw that together they could be all powerful and rule a great part of Europe. But he would not relinquish one piece of land – one castle – to any of them, except in name. He had the final word on the managing and holding of these possessions. On the other hand, his fits were shameful and childish, he treated Eleanor horribly and he had a really scandalous relationship with a very young girl, a princess of France and his son Richard’s betrothed. He was a good ruler; a very smart statesman and never loath to look after his dominions. These were his strengths, but the previous attributes mentioned make it very hard to like him as a person. Near the end, when he is so very desperate for the love of his family, one does wish he had it easier. But, as Eleanor continually tells him: the fault is his own. He was selfish and thought of his own desires, not allowing Eleanor her freedom or their sons leave to govern their small territories. This novel ends with Henry’s death, Eleanor’s freedom and John waiting in the wings. You get a very sickly feeling from John in this novel and I am sure we will read more of him in The Heart of the Lion and most assuredly in The Prince of Darkness. I look forward to continuing on with the Plantagenet saga!